‘NORAD Tracks Santa’ sees the air defence agency entertaining kids every Christmas Eve. But the birth of this unusual service was down to a marketing mistake. 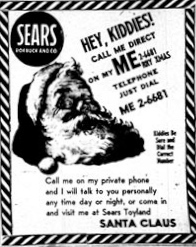 In December 1955 the Colorado Springs branch of department store Sears had a new idea for a Christmas advertising campaign – an ad placed in a local newspaper placed by Santa himself, telling children they could call his hotline and discuss their yuletide requirements. But somewhere along the line an incorrect digit was included in the telephone number, and the man at the end of the phone wasn’t Santa, an elf, or even an employee of Sears. He was part of America’s last line of defence against the threat posed by Soviet Russia, and Santa’s hotline patched through to the number his superiors would call to warn of a potential enemy invasion. When Colonel Harry Shoup of the Colorado Springs’ Continental Air Defense Command (CONAD) Center – who no doubt initially thought the World War Three was starting when the big red phone rang (on Christmas Eve… sneaky Commies!) – started getting calls from children that day, he told staff to give them a ‘current location’ for Father Christmas. The tradition continued when the North American Aerospace Defense Command (NORAD) replaced CONAD in 1958. Today, NORAD volunteers handle 70,000 phone calls and 12,000 emails a day from more than 200 countries. Social media has made the service even more accessible to a global audience – as of this week, Norad Tracks Santa had 1.3 million likes on Facebook, and over 117,000 Twitter followers. Meanwhile, phone and tablet users who download the free app can follow Santa’s progress across the globe in real time. NORAD still has a serious job to do, 365 days of the year. From its Colorado Springs base it provides aerospace warning, air sovereignty, and defence for North America and Canada. Thanks to Colonel Shoup’s initial reaction to the first phone call, he’s given NORAD six decades of great PR. And even Sears were able to see the penicillin in the fungus, and have enjoyed enhanced publicity from what began as a basic marketing mistake. It encourages the world to think warm fuzzy thoughts about US defence, and a great story for Christmas. 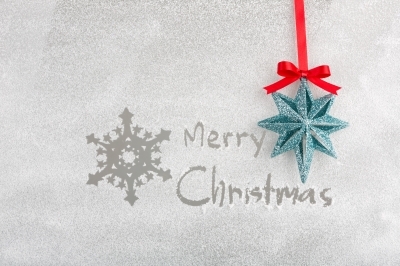 This entry was posted in Marketing tips and tagged marketing advice, marketing mistakes, Marketing tips, Norad, PR advice, public relations advice, Santa, Sears. Bookmark the permalink. ← What do Birgitte Nyborg and Beyoncé have in common?